You can create multiple mailboxes, of course. Moreover, you can create multiple «profiles» for each mailbox. This feature is especially useful if you use laptop computer. You can switch between several different settings, like «LAN» and dialup, for the same mailbox. New protocols are supported — IMAP4rev1 for e-mail and LDAP for the address book. 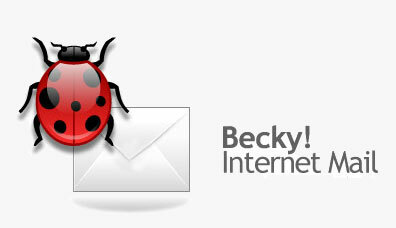 You can write HTML e-mail with Becky!.. If you have Microsoft Internet Explorer ver5 or higher installed, Becky! is a complete HTML enabled e-mail client. Powerful «Filtering Manager» — You can sort messages into folders according to the filtering rules. You can define unlimited and/or conditions for one filtering rule. «Mailing Lists Manager» helps you to organize multiple mailing list subscriptions. You don't have to search past e-mail just to find how to unsubscribe the list. «Plug-In» Interface enables third parties to create useful plug-ins to customize Becky! for your particular needs. Actually, Becky! 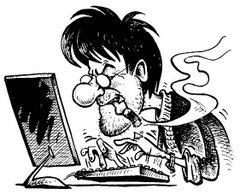 's voice message and PGP functionality are the plug-ins. Size: 4,08 / 3,88 MB.